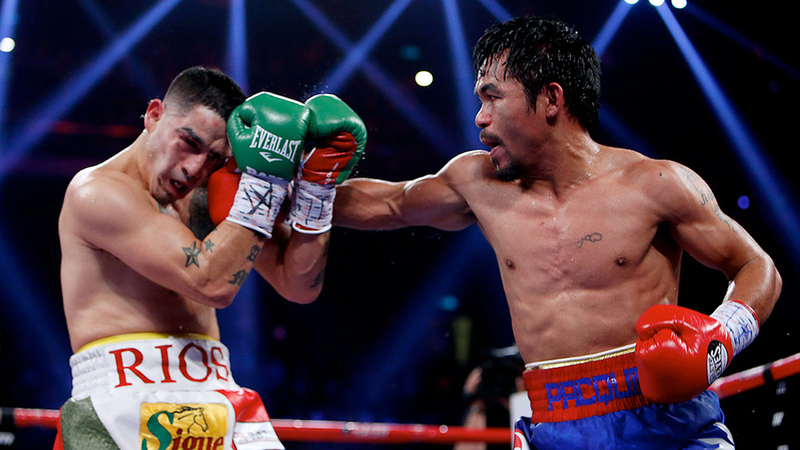 Photo Credit: Will HartSaturday’s HBO Boxing telecast begins at 10:15 PM ET/PT with the replay of welterweight superstar Manny Pacquiao's dominant win over Brandon Rios in Macau. That will be followed by the live broadcast from Colisée Pepsi in Quebec City, beginning with the co-featured bout, which pits undefeated 175-pound title-holder Sergey Kovalev against Ismayl Sillakh in a 12-round title match. The main event from Quebec City, a 12-round light heavyweight contest, features title-holder Adonis Stevenson as he defends his crown against challenger Tony Bellew.